Link Bed 538-A is a single murphy bed table combo with wheels you can use every day in a studio apartment or to accommodate a casual guest. The space-saving cabinet easily turns into a table for two or a bed. Simply lift the front panel to reveal the "U" shaped leg that support the tabletop. For overnight use you'll just have to pull down the entire front panel to get access to the folding bed. Bedspring and mattress are included. Easy to transform as many times as you want, this murphy bed is also easy to move: it is equipped with swivel castors that allow you to effortlessly move it around the house. When closed Link Bed 538-A is only 40 cm deep, in the dining table or desk version is 111 cm long, used as a single bed reaches a length of 215 cm. 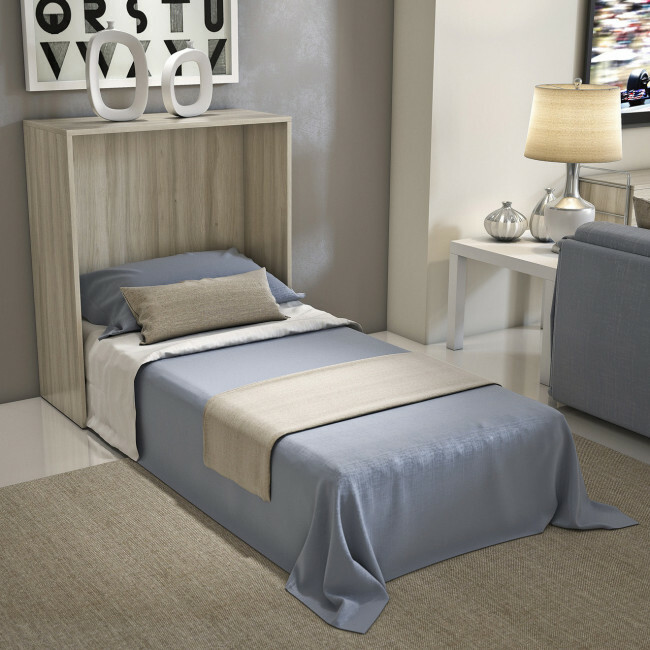 Link Letto 538-A comes wtih swivel castors, single slatted base and mattress. Link Bed 538-A is a murphy bed with integrated table, complete with mattress and slatted base. It belongs to the Link collection: a modular system that allows you to create bookcases, office shelves with desks, media units for the living room, walk-in closets furniture, kids bedroom solutions. 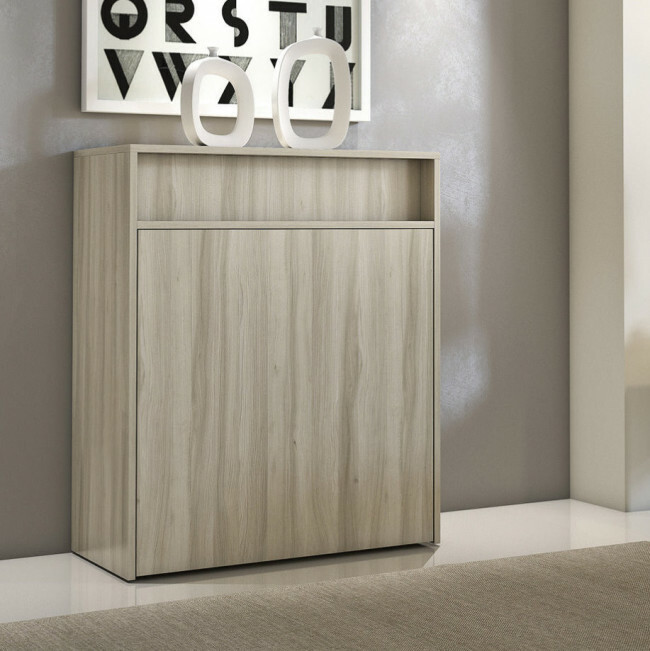 At our retailers' showroom you will receive the best professional help for the implementation of tailored solutions.